I'm notorious for not reading the books when I include them in my posts (although I did manage 6 out of 10 from this post! ), so I was very careful about my selection for this week's Top Ten Tuesday. Majority of these books are older titles, but a few are relatively new releases that I already have as part of my to-review pile. Of course, my number one spring read is A Game of Thrones. This is technically cheating, since I already started it at the beginning of this month, but I wanted to include it since I'll be reading it all the way up till April for the read-along. I was really worried that I would find it difficult to read since it's a high fantasy novel, but I'm really surprised at its readability and the way the story just pulls you in completely once you start reading. I joined in on the read-along for The Lumatere Chronicles, and finally managed to finish Finnikin of the Rock last month (and you can keep an eye out for my review!). Melina's writing is gorgeous, as it was in Jellicoe Road, and I loved immersing myself in her turns of phrase again. I'm eagerly anticipating this second installment, as I found myself very intrigued by Froi's character in the first book, and the third installment, since Charyn is a very unusual place for our heroine to come from. I remember going to the circus as a little girl and being absolutely fascinated by everything (except the clowns, since they creep me out just the slightest bit). My favorites were always the acrobats and the animals (even though it was kind of sad that they were in cages). Anyway, I'm pretty excited to read this book because the main character hails from New York (which is awesome! ), has a name similar to mine (which is doubly awesome!) and runs away to join the circus and find her mom (which is triply awesome!). I've been meaning to read this book ever since Ginger posted about it, and I was reminded multiple times by Tara's review and Cass' review of it. But for some reason, I hesitate to read contemporary romance novels. 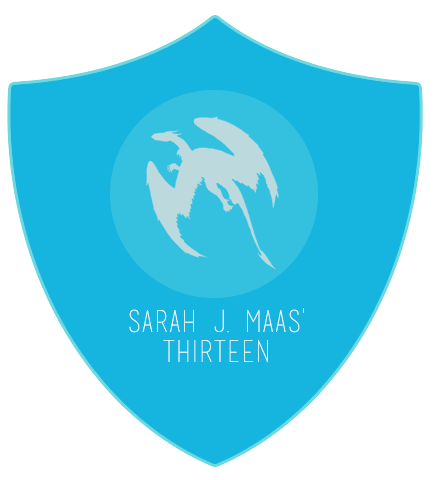 I know it's a bit silly of me to be so nervous, but I generally have preferred historical romances to contemporary romances so this is kind of a stretch for me. It's been lounging on my Kindle (app) for months now, and I really think it's time to pick it up and see for myself how I feel about this story. 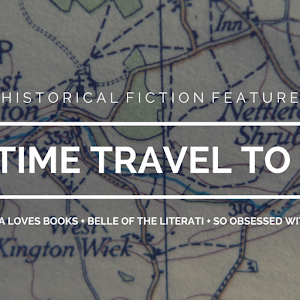 Of course, there had to be at least one fairytale retelling on this list! This time around, it's a retelling of Rapunzel, just like another book I talked about on the blog this year. I do trust Alex to tell a good story though, as I thoroughly enjoyed Beastly when I read it. Plus, the elements that are mentioned in the summary all add up to make a pretty good story so far - a girl who's trapped in a tower, a boy who gets shipped off to a new place and a girl who's disappeared. I read and loved Eleanor & Park last year, considering it one of the most authentic "first love" tales I've ever encountered. I'm eager to get my hands on this book and devour it, because many of my friends have said that it's so well done and such a cute romance. I love that emails are integrated as a part of the story, and I'm almost certain to be wooed by this sweet-sounding romance. I read and loved Unearthly earlier this year, mostly because of Jamie's stellar recommendation. I devoured the first book in the series just before I attend the Teen Flights of Fancy event at Books of Wonder, where I proceeded to purchase the entire series so I could keep going until the end. For some reason, I still haven't finished out this series, but I'm certainly planning to read these two books (and the novella) this spring - so I can find out what happens to Clara, Tucker (!) and Christian. 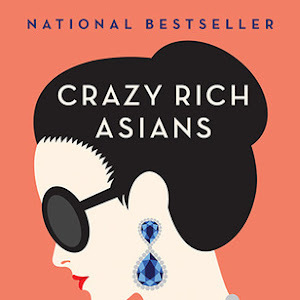 This book has been reviewed multiple times by so many of my trusted blogger friends, and recommended to me many times. I won this in a giveaway two years ago (yes, it's been that long! ), and it's high time I get around to checking it out. Lately, I've been interested in books that feature girls in sports, even though I'm no athlete myself. I can't wait to meet Jordan and the guys on her team soon! Last summer, I started this series and really loved the first book in it! I've been meaning to continue it since then, and even have the second one at home, but just never got around to it. Even though it's only spring and not summer quite yet, I'm thinking it may be a good idea to read this one just to get in the mood for summer days and excursions and romance. Plus, I'm dying to know what happens to Belly, Conrad and Jeremiah! Attachments was pretty cute!! I hope you enjoy :) Although I still love Eleanor & Park more! YAY A Game Of Thrones! Now I just need to catch up hahaa. Towering is on my TTT list as well. I liked Beastly, but I haven't read Bewitching yet. I'm still ridiculously excited for Towering. 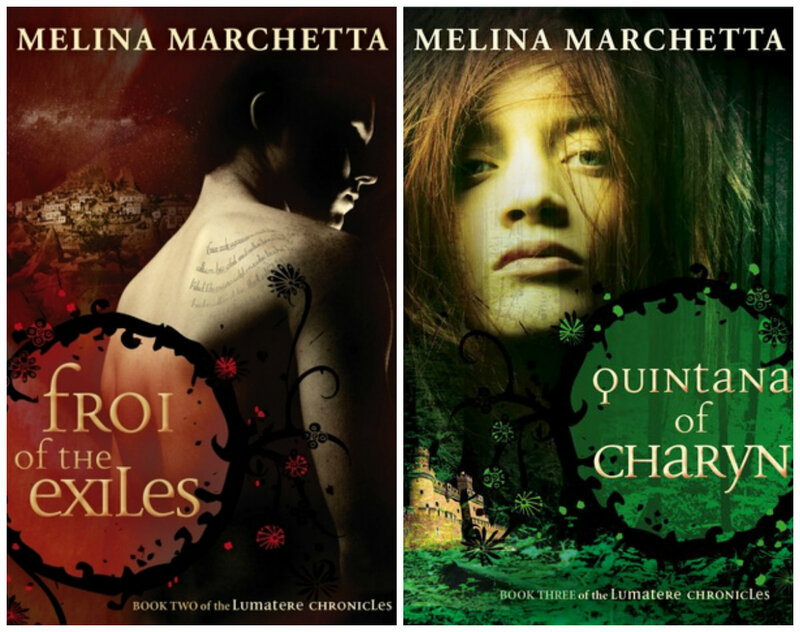 I really need to read something by Melina Marchetta. I have heard AMAZING things about her books. You definitely need to get some Marchetta in your reading pile. Perhaps you should try Jellicoe Road! That was my first Marchetta novel and I LOVED IT. The Ward sounds enticing. I need to read book three of The Hallowed Series. Ive read and enjoyed Beastly. The rap unseal reselling looks great. 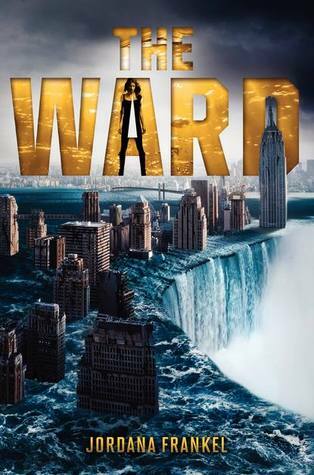 The Ward does look really good, primarily because it's set in NY and it's a post-apocalyptic story. It's probably going to be AWESOME. I've been wavering on reading Towering, it has such a pretty cover that I think I'll be persuaded. Great List! It seems like such an intriguing story! I'm a sucker for fairytale re-tellings, honestly, so that's really what convinced me that I might have to read this book. I just bought Attachments and I can't wait to read it! I can't wait to read it either. After the amazingness that was Eleanor & Park, I'm really looking forward to reading more of Rainbow's stuff. I support this entire list! I want to read several of them myself. 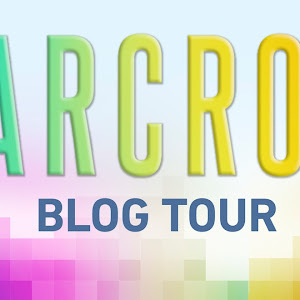 I hadn't heard of That Time I Joined the Circus before today, but I seriously want to read it! I absolutely love stories set in the circus. Even though I haven't actually been to a circus. 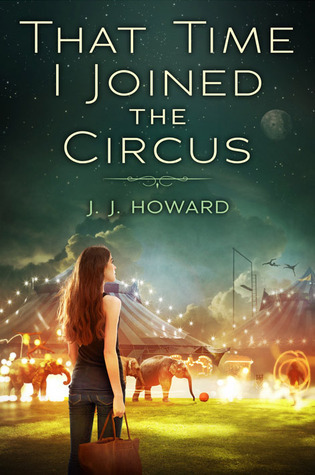 That Time I Joined the Circus is cool, because it's a circus book! I've always found circuses fascinating (except for the clowns). I'm glad to hear it! I always look for a good fairytale retelling, and I did enjoy Beastly when I read it before. YAY for alllll of the books you mentioned!!!!!!!!!! <3 get in Simply Irresistible ASAP and I also want to read Attachments! I already own Simply Irresistible so it'll be happening FOR SURE. I am afraid of Game of Thrones because it's such a huge commitment! And the huge books keep appearing. But Go for it, girl! LOVE The Lumatere Chronicles. I have The Hundred Oaks series on my TBR this year for sure. I'm dying for Eleanor and Park and I keep hearing good things about Simply Irresistible. Great list! 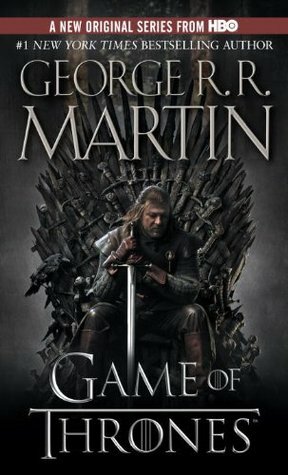 I was honestly very afraid of Game of Thrones + the rest of the series as well, but the read-along has been such a great experience so far. The books are surprisingly easy to read, so that helps. And I'm glad you loved the Lumatere Chronicles. I'm currently working on Froi of the Exiles, and it's SO GOOD. It's even better than Finnikin in my opinion! Catching Jordan is definitely one of the titles that I'm really looking forward to. It just sounds like such a great book, and I get the feeling that I'm really going to like it, even if I'm not that into sports! I am so with you: clowns are freaking terrifying! Even as a grown up, they really unnerve me. 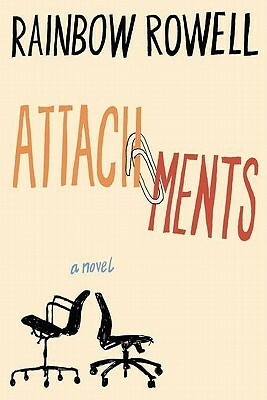 I adored Attachments and the Summer series--I can't recommend either more, they're just wonderful. Clowns are the creepiest, especially with those painted faces. YEEEEP. So glad to hear that you enjoyed Attachments and the Summer series! I really can't wait to read both books. 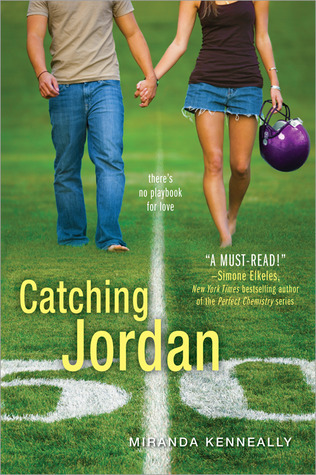 Catching Jordon is an awesome book! Loved it! The Summer Series is on my list for my contemporary month coming up soon. I haven't read any of them yet so I'll be (hopefully) breezing thru them all! 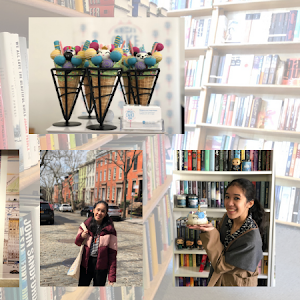 I'm also kind of curious about the Lucky Harbor books - they look like fun, cute, contemporary romance reads that are perfect to reach for when you want something exactly that - fun, cute, and romance-y. I might check those out too. Also, I'll let you know how I fare with the Lucky Harbor books. I'm not a big contemporary romance reader, so I'll definitely be able to see if these change my opinions. Simply irresistible is a great read. I enjoyed this story and the next two books in the series. It was so good than I found myself buying the 6 books in the series. Gah! I love the Game of Thrones show, but I couldn't deal with the book. It's UBER slow moving and there were so many characters that I disliked and they were the ones that had the most character chapters (like the wife-god she has to die! lol). Hope you love it more than I did though. I did get to 70% before I DNF! That's some dedication! >.< I tried, dude! OMG!!! Catching Jordan!! *hyperventilating* You haaaaave to read that one! The ward looks good but it kind of feels like it could be a "same old" too so we'll see. That Time I Joined the Circus looks really good I'm excited for that one! Awesome list, doll! I promise I'm going to read Catching Jordan soon. As a matter of fact, I'm starting it today, so HOORAY! *throws confetti* I know you love that series, so I'm fairly certain I'm going to like it too. As for Game of Thrones, I'm surprisingly enjoying it. I thought it'd be more intimidating and hard to read, but it really isn't. I'm liking the slow pace we're taking for our read-along, so that probably helps. I adored the game of thrones books. Granted there's a lot of world building but it's so worth it. Also I like you really need to finish off the Summer I Turned Pretty series. I loved the first book so I definitely need to get a move on! I'm glad to hear that you like A Song of Ice and Fire. I'm certainly enjoying it right now, so I can't wait to keep going. And yes, I will be attempting to finish up the Summer series. I read the first one last year and really loved it. SO excited for you to read Unearthly and hear what you think! I LOVE those books and I am just in love with the characters! I've read and loved Unearthly, so now I just have these two left to finish out the series. I'm a little nervous about starting them, which is why I'm holding off for a while. But I can't wait to read more about Clara, Tucker and Christian! I actually haven't watched the show yet (eep!) but I probably will after I'm done with the first book next month. It's pretty good so far, and I'm actually really enjoying it! GAME OF THRONES!!! They're long and drawn (like most epic fantasies), but they're fantastic. Be sure to have a box of tissues nearby. G.R.R.M. is a bit of a meanie, lol. I'm loving Game of Thrones twin! I think it's pretty fun to read, and I like that there are so many things happening all at once. I really hope you continue to enjoy the A Song of Ice and Fire series, Alexa! I also plan on reading Froi and Quintana upon Quintana's publication (and re-reading Finnikin). I know that I'll need to pound through them though so I wasn't too keen on joining any readalong. I hope so too! Based on Game of Thrones, I'm fairly certain I'm really going to like it, so there's that. It's so good so far! I'm sorry to hear that you didn't enjoy Beastly all that much. 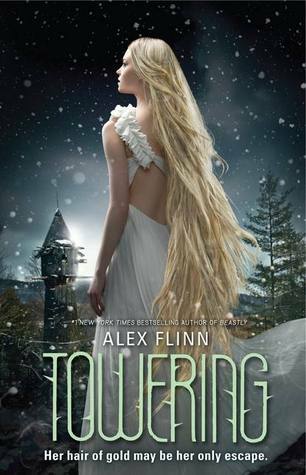 Towering sounds really good though, and I have high hopes for it as a fairytale retelling! LOL, I was totally cheating with Game of Thrones, but it had to be up on there! 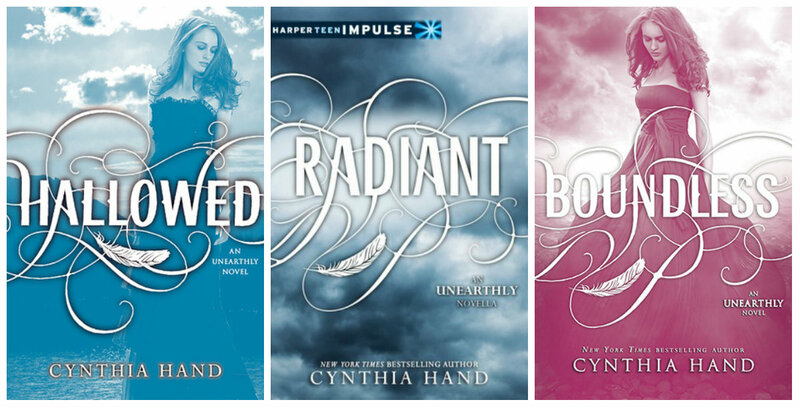 And yes, do try Cynthia Hand's series. It's pretty good (at least Unearthly was) so I hope you enjoy it. I want to read Attachments as well! I wasn't too keen on Eleanor & Park and felt it disappointed me, but I'd still like to give her adult romance a try, because I do really like her ideas. I like the way she writes. I'm sorry to hear that you didn't enjoy E&P all that much though!